Gov. Greg Abbott said Friday he sees a "coalescence" against the idea of having a so-called "red flag" law in Texas, further dooming the proposal's chances in the Legislature. Abbott asked lawmakers to consider the idea as part of the school safety plan he released earlier this year after the deadly Santa Fe High School shooting. The chances of Texas passing a so-called "red flag" law after the Santa Fe school shooting continued to drop Friday as Gov. Greg Abbott said he saw a "coalescence" against the proposal. As part of his school safety plan released after the May 18 massacre, the Republican governor asked the Legislature to consider such a law, which would allow courts to order the seizure or surrender of guns from people who are deemed an imminent threat by a judge. But even then, Abbott's request for lawmakers to study the proposal drew the ire of some Second Amendment hardliners in the governor's party, and Lt. Gov. Dan Patrick declared Tuesday that he has never supported a "red flag" law and suggested it would be dead on arrival in the Senate. Abbott, appearing Friday at an unrelated news conference in Austin, was asked if he still wanted lawmakers to consider the idea in the wake of Patrick's comment. "If you go back and look at what I said in my plan, I suggested what the Legislature consider — whether or not the existing protective order laws in the state of Texas were adequate or whether or not they should be amended to add emergency risk protective orders," Abbott said. "And it seems like there's coalescence around the notion of not supporting what's categorized as a 'red flag' law. What is important is ... that we work together as a legislative body towards solution to make our schools safer and to make our communities safer." Abbott included red flag proposals in his school and gun safety plan after the issue was raised at a roundtable discussion in the week following the massacre in Santa Fe. In his plan, Abbott encouraged the Legislature to "consider the merits of adopting a red flag law" that would allow firearms to be removed from a potentially dangerous person after legal due process. In the plan, he claimed that protective orders restricting gun possession, like red flag laws, could have prevented the mass shootings in Sutherland Springs and Parkland, Florida. On Friday, Abbott reiterated that his request for lawmakers to consider a "red flag" law was not meant to be a personal endorsement of the proposal. 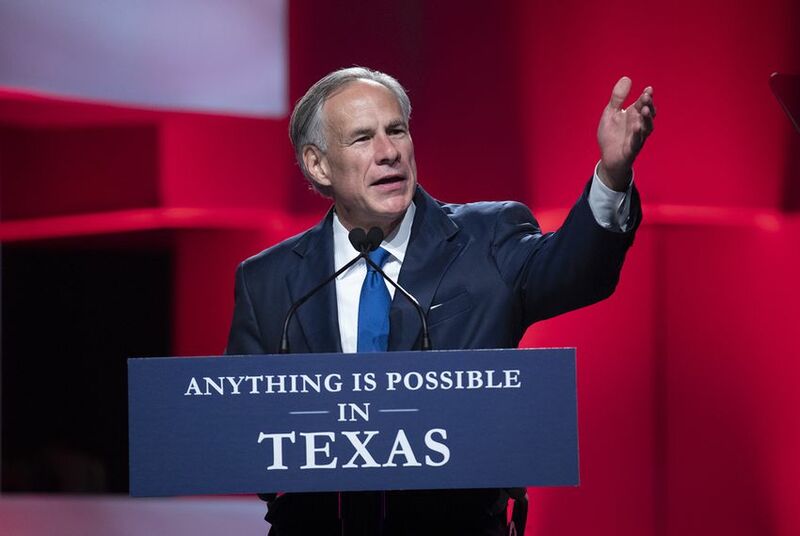 "That's correct, and also as you know, I made that clear," Abbott told reporters, alluding to June tweet where he told a critic he does not "advocate red flag laws" in his school safety plan, "only that is something the legislature can consider." The tweet came during a 12-hour Texas House hearing on potential red flag legislation, after the topic, and concerns of Abbott's approval, gained sharp criticism from conservative groups and opposition toward any such law was written in the Texas GOP's party platform. In the plan, Abbott also asked the Legislature to evaluate whether existing protective orders that prohibit gun possession are sufficient. Currently, courts can notify Texans under certain protective orders, like those in domestic violence cases, that they cannot own guns or ammunition, but state law gives no guidance on how to enforce the prohibition. Will Texas pass a “red flag” law to remove guns from people who are deemed dangerous?